I’m an old school horror fan – particularly zombie horror. So, when I saw Action Lab Comics‘ table full of comics at San Francisco’s Alternative Press Expo, I had to have The Rabid. The cover is startling, the interior art – although this preview edition is black and white – is beautifully painted and the guy working the table gave me a gripping pitch about their alternative and inventive explanation of how the zombie plague not only starts but spreads from breed to breed. I was in. But did the book live die(?) up to my expectations? The Rabid is brutal – both in story and presentation. There are some seriously vicious scenes in this book. JD Arnold has written several seriously action-packed and crazy death scenes into this book; something that is absolutely necessary for an over the top zombie book looking to compete with the likes of Deadworld and The Walking Dead. There is a scene where a couple humans fight a rat, it is beautifully vile and aggressive – brutal stuff. And the art for these scenes is appropriately intense and wonderfully painted. 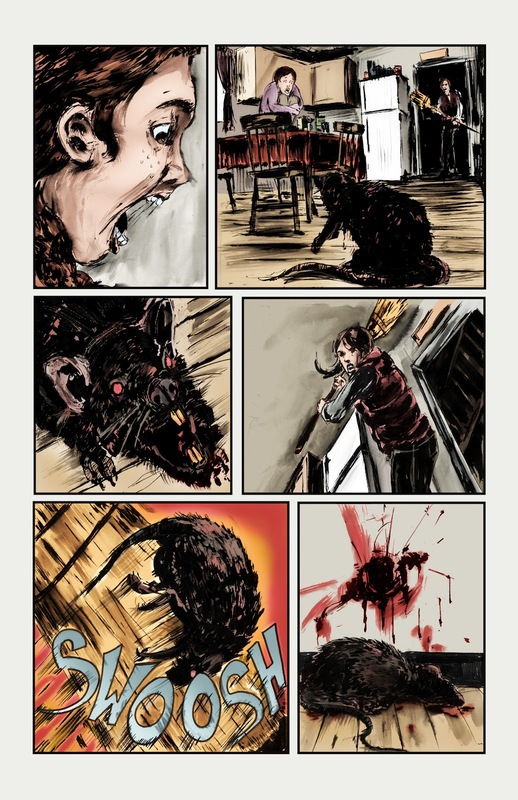 I’m not going to say too much about the origin of the disease that causes the zombie infestation in The Rabid but I think that it’s a great idea, certainly interesting and creative. However, there is a problem in presentation of the disease that makes the book a little clunky and illogical. The majority of the story takes place in a secluded farmhouse which is cool except that the reader has to wonder how the disease got there – especially since the other portion of the story takes place in a lab seemingly some distance away from the said secluded farm house. 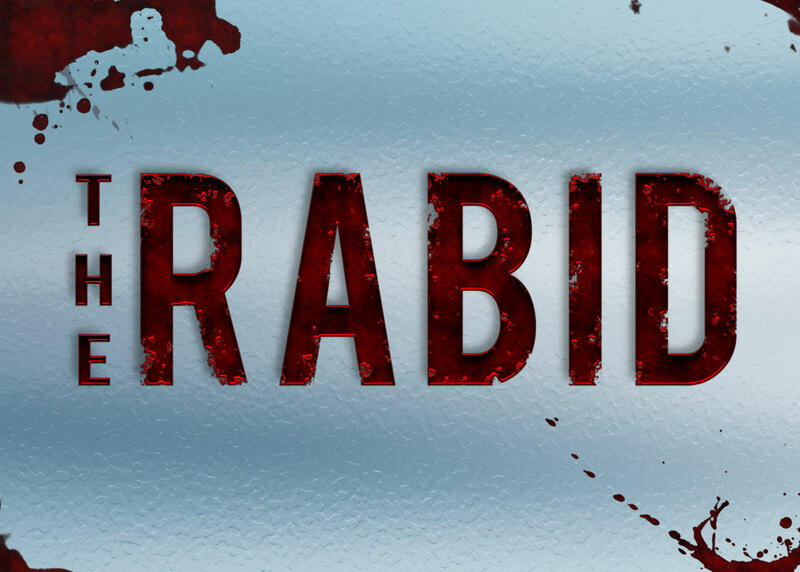 Other than these logic issues, The Rabid is a fun and brutal book to read if you’re looking for some gory horror. This entry was posted in Columns and tagged action lab, action lab comics, Comicopolis, dave dwonch, jd arnold, shawn pryor, the rabid, tony guaraldi-brown. Bookmark the permalink. Follow any comments here with the RSS feed for this post. Post a comment or leave a trackback: Trackback URL.